I have some (more) news to tell you! I’ve got a new book to my name, and this one is special because I got to work on it with some of my favourite designers!! ‘Bold Baby Crochet‘ is a collection of 30 colour-packed projects for babies, ranging from clothing and blankets all the way through to accessories and toys. When this idea was first presented to me, I got really excited. 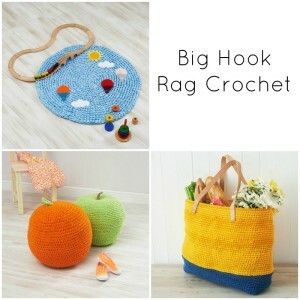 Not only did it give me a chance to work with the publishers of Big Hook Rag Crochet again, but they were more than happy for me to choose which designers I would like to include in the book. 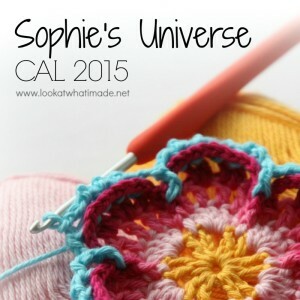 We ended up with ten contributing designers (including yours truly) and 30 bright projects. The book is currently available in US terminology (published by Barron’s) on Amazon.com and Amazon.co.uk. It is also available for pre-order in UK terminology (published by Apple) on Amazon.co.uk. 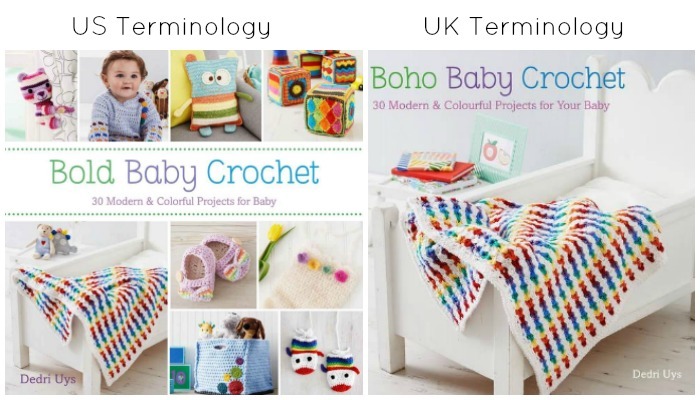 The listings don’t tell you if the book is US/UK, but the covers for the two versions are different (see photos below). 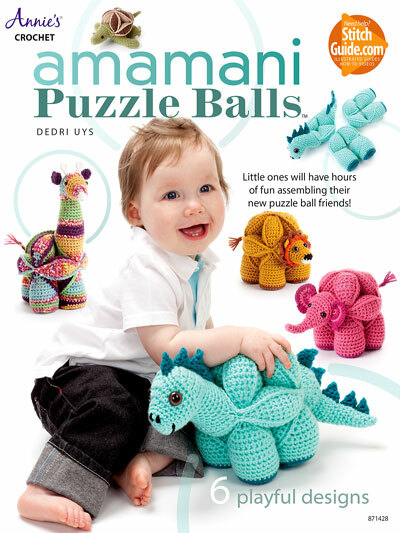 The specific yarns used for each project can be found on pages 124 and 125. A short biography for each designer can be found on pages 126 and 127. 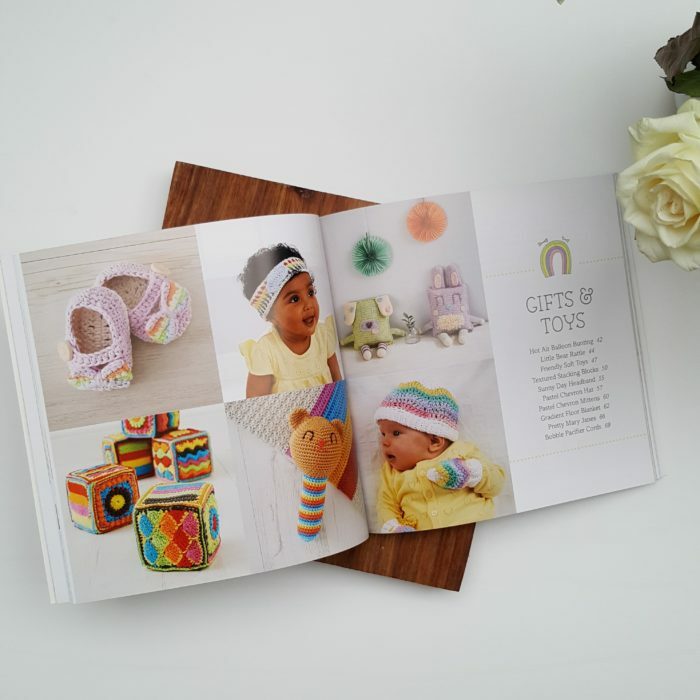 It includes a summary of which patterns they designed for the book. In a moment I will tell you a bit more about my contributions, but first I would like to show you some of my favourite projects from the book. 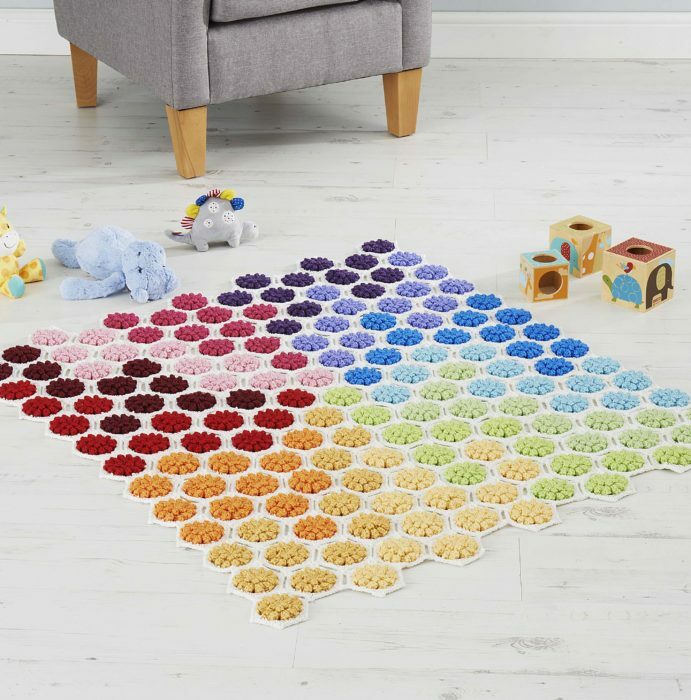 Kirsten Ballering, the designer of the popular Hygge CAL, designed this gorgeous Gradient Floor Blanket using Cascade 220 Superwash (available HERE in the UK and HERE in the US). I was smitten with it as soon as she sent me the first sneaky photo. I LOVE the textured hexies and the random placement of the colours. 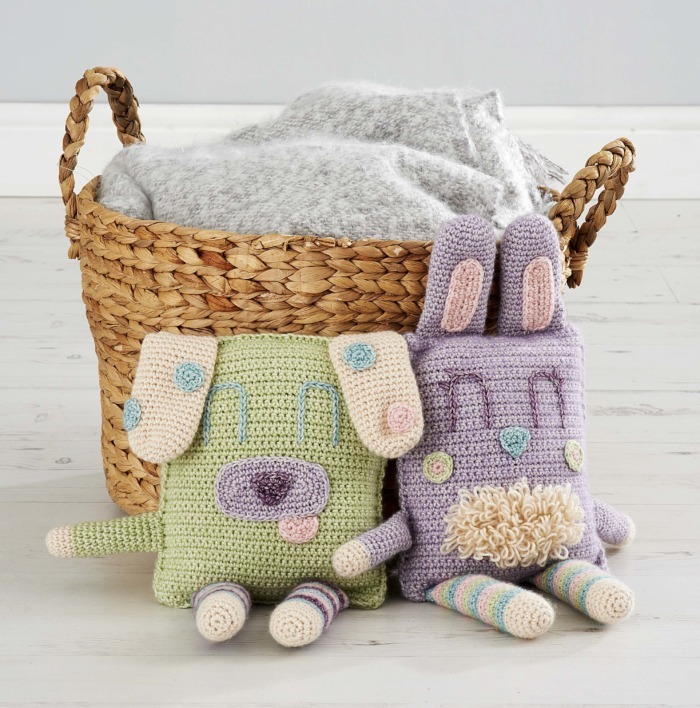 These cute little Friendly Soft Toys, designed by Carmen Jorissen, made me feel all gooey inside. I just find their goofy faces so adorable! They were made using Scheepjes Stonewashed, which is my favourite yarn at the moment. Who am I kidding, it’s been my favourite yarn ever since I first used it! 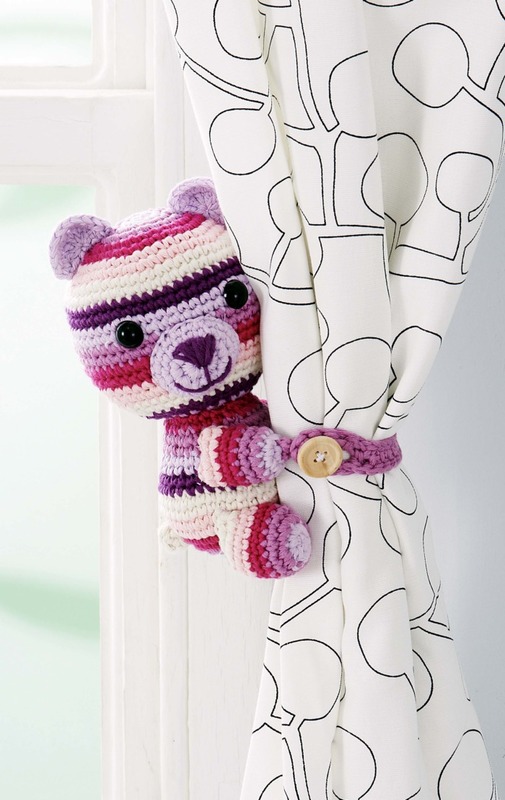 Doroteja Kardum designed this very cute Buddy Bear Curtain Tie, pictured here in Drops Cotton Light and Drops Love You 5 (which has now been discontinued). This Sunny Day Headband by Shelley Husband made me smile when I first saw it. It is such a happy summertime accessory, and isn’t the little model so cute? 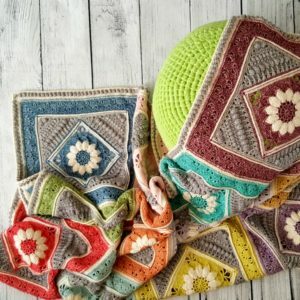 This one is made with Scheepjes Catona. 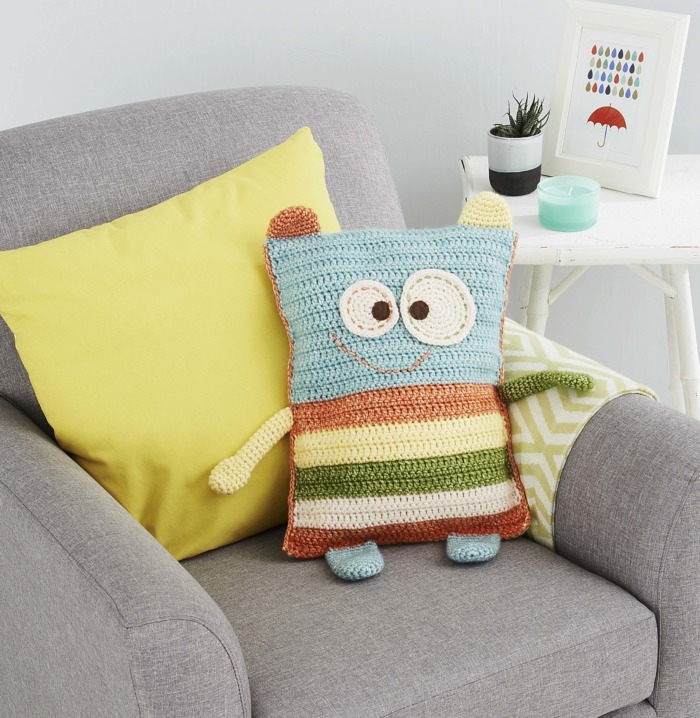 The last project I want to show you is this Monster Pillow Cover by Tatsiana Kupryianchyk. Once again made in Stonewashed, it is the perfect companion to the Friendly Soft Toys. 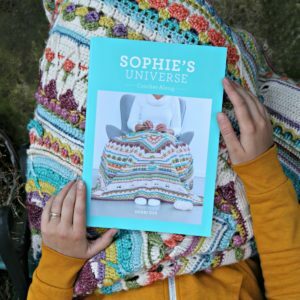 If you want to know what other patterns are included in the book, you can find a full list HERE. I designed three projects for the book. The first is a set of nesting baskets made in Stonewashed XL. They are perfect for storing small items like cotton buds, pacifiers, teething powders, thermometers, and creams. When not in use, they fit neatly into each other. My boys are too big to need any of the above-mentioned paraphernalia, but Xander and I discovered a wonderful game that we can play with the baskets. We place them in a row and then Xander tries to bounce a bouncy ball into them for points. Landing the ball in the smallest basket gets him 100 points and landing it in the largest basket gets him 25 points, with the other two baskets scoring him 75 and 50 respectively. I just LOVE finding different uses for items and the boys are absolute masters at finding different uses for just about everything (sometimes with catastrophic results). 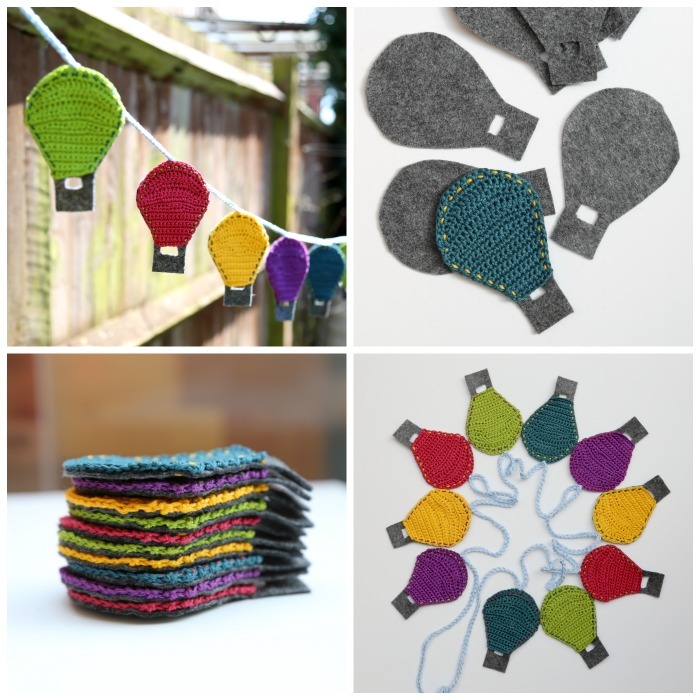 My second project is this Hot Air Balloon Bunting. 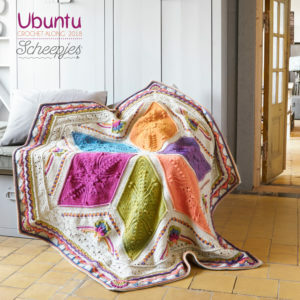 Made in Scheepjes Catona, the balloons are crocheted and then sewn onto felt backing. 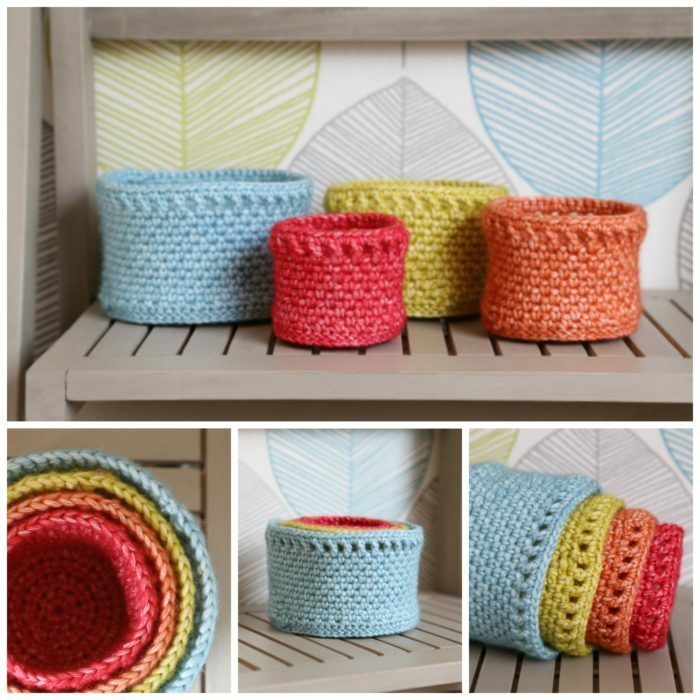 I chose to use bright colours, but you can just as easily make them all one colour, or even introduce stripes. I can imagine them done in blue and white stripes, hanging on the wall of a sea-side baby room. For some reason, I’ve just had the most vivid image of them hanging in a house in Glentana (South Africa) that Christiaan and I stayed in with my family when we were still dating. 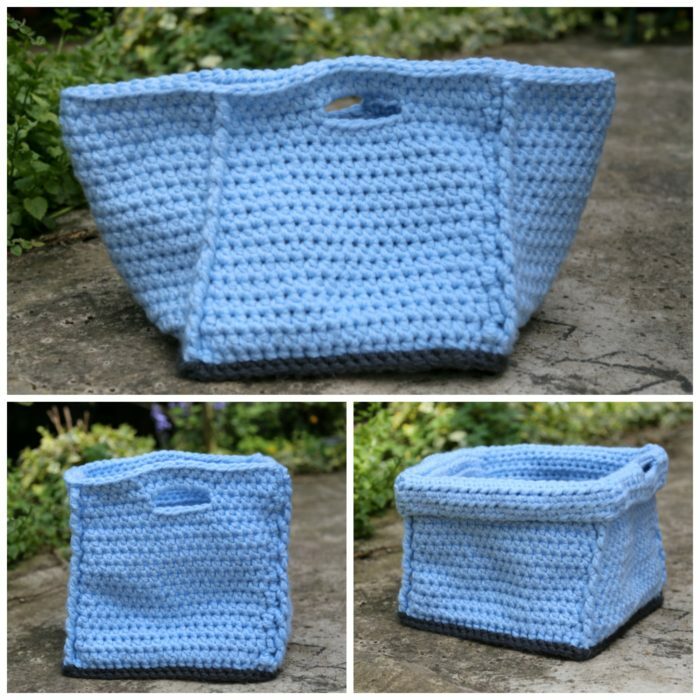 My last project is the Drops Storage Basket. It is a square storage basket that fits into the Ikea Kallax shelving units (formerly known as Expedit…which is what we have). The basket has two handles to make it easy to carry from room to room. 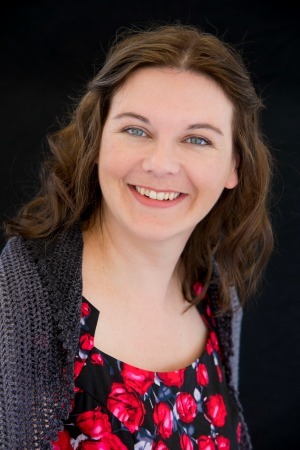 It can even be carried one-handed, which might seem like an odd thing to mention, but I can remember MANY instances where I had tried to tidy up at the end of the day with a baby in one arm, a toddler clinging to one leg and another either trailing us or getting underfoot. The top of the basket can also be folded over to make it more sturdy. 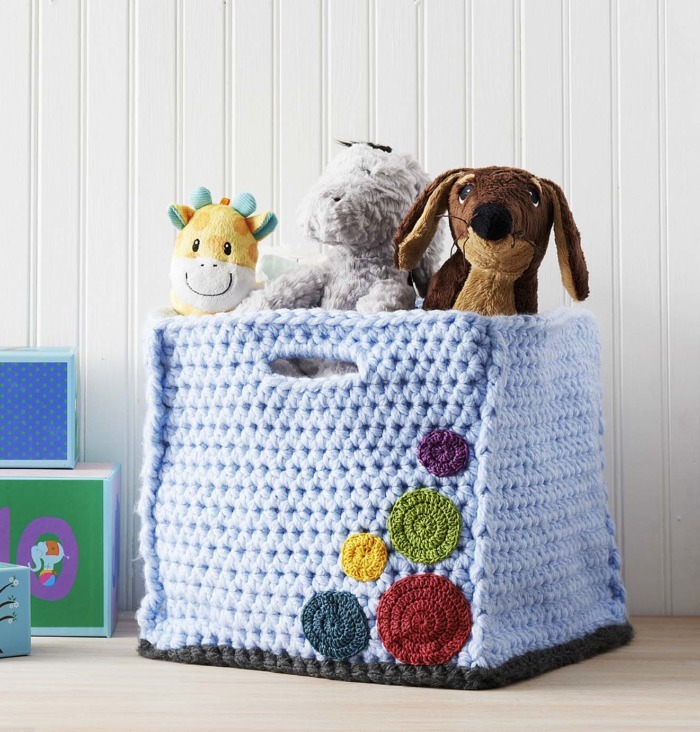 If you are making this storage basket for a very colourful nursery, you can add spots of colour as we have done, tying the spots in with the colour scheme of your nursery. I have had a lot of fun working on this book and I hope that you will like it as much as I do. I would like to thank the wonderful designers who helped me realize it. I respect and admire each of them and am honoured to have had the opportunity to collaborate with them. 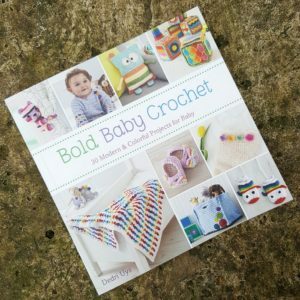 If you make anything from the book, I would love for you to share it using #boldbabycrochet. I am also curious to know if you like making or receiving handmade baby gifts? What are your favourite items to make or receive? Bonjour, Je viens de découvrir ce livre et je le trouve fort beau. J’ai juste un soucis : est-ce que les explications sont accompagnée de photos des différentes étapes car je ne comprends pas beaucoup l’anglais. Hi Chantal. Books don’t usually contain photos of all the relevant parts so that publishers can keep costs down. Is there a specific pattern I can help you with? Oh and btw, I LOVE the book. Usually I find that these books only have two or three designs, that I like and end up not buying them. 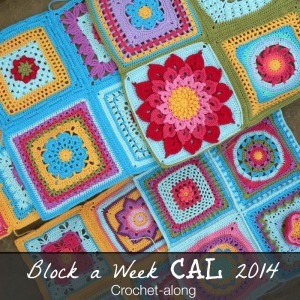 But here I have difficulties deciding, which pattern I want to make first. They are all so beautiful. Thank you for getting back to me so quickly. 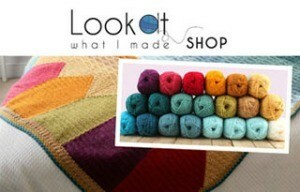 I am using the Stylecraft chunky, which has 144m/100g. So could I maybe fix it by using three strands instead of 2? Or switch to a completely different yarn altogether? I guess, I could down a needle size as well and just make the base with more rounds and more stitches on the sides? I am currently working on the drops basket. The LO flipped through the book and just loved it. He asked for one in red and I have just started with the base and am already in doubt with my choice of yarn. I bought a chunky yarn, 100% acrylic as recommended, and am using two strands but it just seems to “drapy” for a basket base. Will it get a bit sturdier, when I add the sides or should I add a third strand of yarn? And is the UK chunky maybe a different chunkiness then the US chunky? Should I have bought super chunky instead? I am a bit lost at the moment and would appreciate some advise :) Thank you very much! Have got your book and feel very inspired. I’m a first time nana and my granddaughter is benefitting from my projects. LOVE making different baby blankets. I have done a couple of sleep sacks, toys, and sweaters, but the blankets are the best. I love all of your designs! I just placed my order for your latest book. I thank you for your creativity and look forward to seeing what you come up with next. Thanks again for sharing your talent with the rest of us! Awesome Dedri …. when the time is ripe I’ll be sure to add to my collection!